The MBA journey - from concept to execution - can be extremely frustrating if you don't have the right information and approach. If you feel we could help out in making your experience a little more structured and a little less painful, do get in touch. 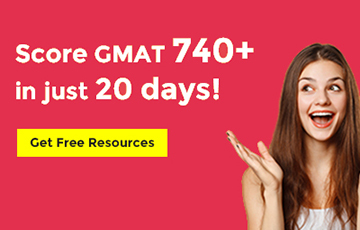 With a less-than-stellar profile (Indian/IT/Male, GMAT below 700, age not on my side), I knew the MBA application process was going to be an uphill battle. I could not change my past (academic grades, experience, average extra-curriculars). My application strategy and the implementation plan had to be really strong. I guess I played my cards right. I chose Cambridge, got a double-scholarship and changed careers completely from IT to Mergers & Acquisitions/Strategy. Since then, I've been sharing my strategies and techniques with others. My book Beyond The MBA Hype has been appreciated by applicants as well as admission officers of the top business schools across the world. We've shared a humongous amount of free information on our website. Check it out to build an opinion about us. Unsure of whether we are the right team for you? Read these MBA admissions consulting reviews (full-fledged blog posts, actually) of aspirants who started off with similar concerns and ended their journey with very interesting results. Profile Builder: If you plan to apply after 1-3 years. 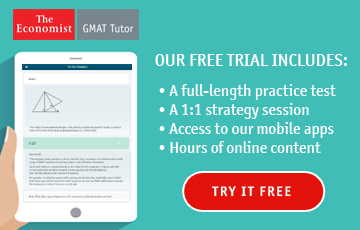 MBA Mock Application Process (MBA MAP): Simulates an application process, identifies strengths/weaknesses and helps you prepare a solid strategy for your applications. 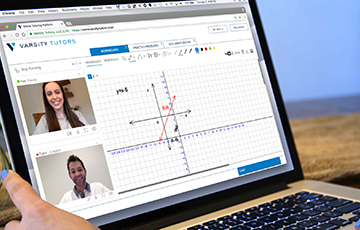 Application Reviews: Essay editing & Interview prep to help you put in the best possible application. Career counselling: When you aren't sure whether an MBA is right for you, or there are other ways to reach your goals. I would really appreciate if you could help me understand where I am going wrong in my application approach. I applied in 5 schools in EA/R1 and have already received 3 dings. All three dings were without interview. I thought I did well in highlighting detailed plan for short term and long term (5/6 years after MBA). The post MBA goal of consulting seems to be related to preMBA work of operations management. The schools that I applied to are: Wharton (dinged), Columbia (dinged), Booth (Dinged), Yale (no update yet), Tuck (no update yet). I feel that one of the weaknesses in my application is having a very common post MBA goal but I still don't understand what is wrong with that? Also, do you think this may be due to the weaknesses that I mentioned earlier (above average age and ordinary goals). Please share some thought on what questions should be asked when writing an essay. I would really appreciate if you could help me understand where I am going wrong in my application approach. I applied in 5 schools in EA/R1 and have already received 3 dings. All three dings were without interview. Thanks for kickstarting this thread. I'm sorry to hear about the dings. Each application requires a considerable amount of time and effort (not to mention money), so it's always heartbreaking to hear such news. From what you've shared, I don't see any obvious red flags, but there is one area where I'd like to probe you further. Let me first share my thoughts on the overall profile first. Your entire focus so far - in academics and in your work life - has been on the operations, manufacturing, industrial engineering. 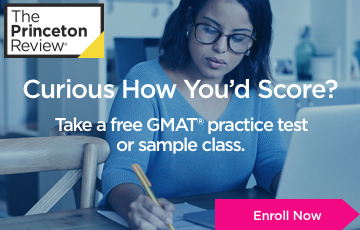 The acads (specially the grad performance) are pretty good and so's the GMAT. And in your post-MBA goals you are expressing an interest in taking your career to the next logical stage within the same domain that you are so familiar with. I would see that as a huge advantage. In fact, if (as you've pointed out) your age is slightly about the mean for these schools, then you are being extra cautious by sticking to your comfort zone and reducing the risk. As an Adcom member, I'd actually be more concerned if someone with your profile would start talking about moving into I-Banking, Venture Capital or any other area where you have little to leverage vis-a-vis the other MBAs from your class and outside. Not that it's impossible though (and I'm speaking from personal experience). Now my query. When you say common/ordinary goals, I'm trying to understand what you meant? Could you please give me a few examples of uncommon goals? This is where I wanted to dig a little deeper. I don't see an issue with the goal you've chosen. But I'm curious to know how impactfully you've presented your case. 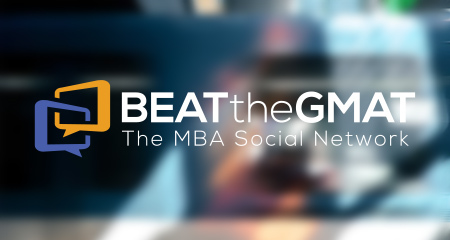 Have you been able to tie-in your goals seamlessly to your pre-MBA experience? Have you justified the schools role in the transition process? If you were to look at moving into a consulting role, what would be the hurdles you are looking at? If a formal ding analysis isn't possible, you could probably ask someone who's familiar with b-school applications to have a look at your essays and point out potential gaps in the storyline. Maybe it's just a matter of plugging in that missing piece or maybe it's a little more complicated than that. But a third party perspective might help you gain some clarity before you hit Round 2 apps with a vengeance. And of course, Yale and Tuck are still open for you. One area that we've left completely open is Recommendations. Are you sure your recommenders did a good job of vouching for your skills, capabilities and potential? Or a more basic question to ask, are you sure you chose the right recommenders? I've come across cases, where the candidate has done a brilliant job with the essays, but the feedback that trickled in later pointed a finger at some elements within the recos (can't get into the details here). And that threw the spanner in the works. Not saying that would be the case here, but something you might want to look into anyway. Good luck with your R2 apps and with the Tuck/Yale decision. If you need help along the way, let me know. Here's a brief take on this. - Think about your career so far and literally put down 4-6 bullets/stories that you are proud of and ones that you beleive project your strenghts well. Do not restrict this to work related - cover your entire life here. - Then think about the reason why you want to do an MBA and whether you have a convincing reason for doing MBA at this stage. 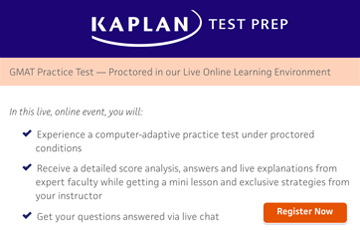 - Only once you've done this, should you take up the specific questions. 80% of your school essays would come from the two points above. Offcourse, for each school, make sure you understand what the question is asking for and do not force-fit drafts from another school without sufficient modifications. Profile summary: I have over 4 years of strategy consulting experience, including about 6-8 months of international assignments, have been a radio host in Mumbai for over 2.5 years, solid community service for over 4 years, and a moderator at this wonderful forum: BTG. I recently won an award for the best employee at my firm (top ten consulting firm), within 3 months of joining the firm. My GPA is poor though (havent converted it yet), have a 54% (on a scale of 100) aggregate in Engineering from Mumbai University. 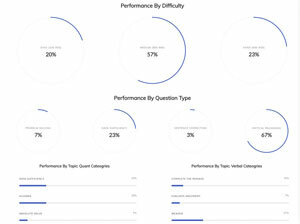 My GMAT breakup (Q 49 (86 percentile), V 34(68 percentile) for a 680). My biggest achievement, though, came last year when i quit my consulting job bang in the middle of recession to pursue freelance consulting opportunities. During these 12 months, i single-handedly initiated and implemented a technology transformation project at All India radio (local government radio station) with results to show, Similarly, i executed several freelance engagements before deciding to re-join Consulting. Target schools: My target schools are/ were Wharton, HBS, Chicago Booth, Kellogg, Insead, Said, Judge and ISB in that order. But now, it would be great to know the best schools i should apply to with a realistic chance of getting in. Best employee' award at my firm - At my firm, awards are given out every quarter. I led a 5 member team to recommend a business strategy for an Operations Research association aiming to increase membership. It was a "high stakes" project, executed to the satisfaction of the client. why you then rejoined your consulting firm - going freelance was never a permanent career decision. Post the radio project...(the radio project went on for over 6 months), i took up other work i had committed to, but once that was over...i started looking for a job again...In India, it's very tough for a non-mba to break into a top consulting firm....i think my experience as a freelancer made my entry into a "branded" consulting firm possible. Your profile triggered my curiosity and I took the liberty of checking out your LinkedIn profile. Interesting profile, I must say. You've got an unconventional story to tell. The RJ part, though unusual, would be more of a profile enhancer (more than something to base your entire application on) as it's been a weekend commitment for you. I'm guessing you'd have spent more time with AIR in your freelancing tech consultant role. On a side note, I like 107.1 coz it's not been corrupted by all the commercialization yet. All the other channels sound exactly the same. 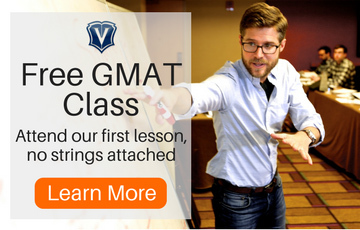 Your forte is your transition story as you've managed to achieve quite a bit without an MBA. Plus you've managed to do well in your most recent strat consulting role in a very short span of time. All good, sir. I wasn't too convinced about the 'why you left your job to pursue freelance work' part. Maybe there are other missing pieces that I'm not aware of. But the story has come a complete cycle and you are in a reputed firm now. Btw I was with one of their competitors before my MBA. The grades might be a little on the lower side for some of the schools on your list. Also, you might want to balance out the risk as you are applying in Round 2 and many schools right now seem to be in the Stretch to Ambitious range. Have you applied to any schools in Round 1? 2. school shortlist: since i wrote this post, i have revamped my school list - HBS, wharton, darden, ross, duke, cornell, tepper, ISB - are they all still stretch schools? 3. freelance work: i dont know what else to say? except that i was not having impact...i am a risk taker, i am a passion follower, i am an impact man...i want impact in whatever i do....i saw opportunity to transform an organization, advised a start up with a below the line marketing plan, helped an NGO think big, etc. besides, i was never part of a branded consulting firm...in india it's tough to break into consulting w/o an MBA.....with this experience in my kitty i applied to capgemini and got through.....and in a short span was awarded for my work as well. Here is a question i had posted earlier in another thread. I want to ask as to how much importance should an applicant give to a B-School's Program's accreditation by any of the following accreditation bodies - AMBA/AACSB/EQUIS? If on one hand it is safer to apply to accredited programs only, it is also true that on the other hand, some good programs are not even accredited. One such example is MBA from Schulich School of Business. I really want to apply for this program but now am reconsidering. The school list would still be on the Stretch to Ambitious side. But if you've done your homework and have a convincing reason for selecting that list, then go ahead. Do be aware that each one will take a fair amount of time and effort. SO you'll need to decide if you have the bandwidth to apply to so many schools in R2. The help can range from the conventional (regular app help stuff) to the exotic (gayatri mantra jaap and remote prayer sessions). You've gotta take a call on what exactly is it that you are looking for and we'd be glad to help out. Apart from the songs that have Munni, Sheila or Zandu balm in the lyrics, anything else will do sir. Good to see what you've started! Dear aynrandfan, i think overall you've got an impressive profile. Though for INSEAD specially, a pre-mba consulting experience is best, but you have the next best thing which is experience in a place like McKc. Are you part of one of the COAs that have been set up some time back or have a sectoral spike? 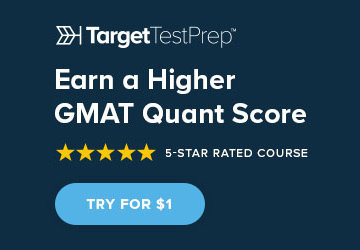 Considering your post MBA aspirations (though startegic consulting in public sector may be too niche a choice), and the choice of schools, i would strongly recommend a higher GMAT. Did you take any professional help in the second outing? or did an assessment of why the score was low in the first outing? 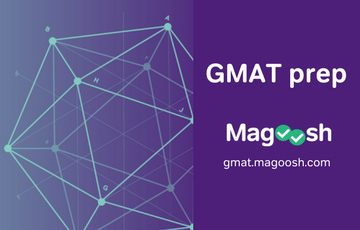 If you arent' really keen on a 3rd gmat attempt, then it will be prudent to atleast have a few schools in the realistic - safe category. 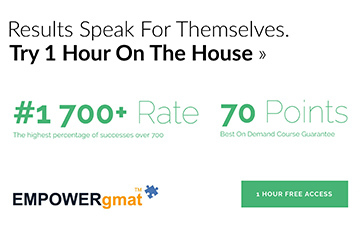 GMAT score: I have taken the GMAT twice now (latest being this afternoon)! I wanted badly to cross the 700 bar, and so took the test again - but did not make it! Work Experience: I have a work experience of 3yrs 8 months as of now, will be about 4 yrs 4months by Aug next year by when I hope to start my MBA. I have so far had a career primarily in Research - was with the research arm of a global investment bank for 1yr 9months and then for the past 2.2 yrs have been with the research team at McKinsey & Co. I am based out of India, but work with teams across the globe. Have often worked in multi-cultural teams in client locations abroad. I had so far decided on applying only in Europe because I was interested in a shorter 1 year course.... however, now I feel that it is atleast worth a shot at one of the US b-schools aswell. Considering all R2 deadlines are in the 1st week of Jan, I don't think I'l be able to do justice to more than 1 more US school application besides the LBS application I need to have ready by Jan. Would be great to get your thoughts on which of the following would I have a competitive chance at - Stanford, Wharton, Chicago Booth. Would be great to hear your thoughts on what are my chances at the schools I am interested in? Any other schools I should be applying to? 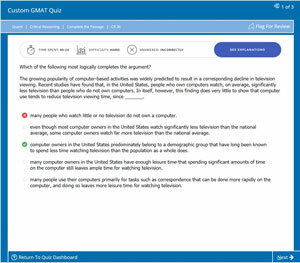 What should I work on for my application, considering the GMAT score is not outstanding. I am tight-pressed for time on the application deadlines for round 1... and thus your immediate guidance will be very helpful. Let me know incase you need any further details! With so many MBA courses popping up across the globe, the accreditation process does play an important role in ensuring that consistency, standards and quality are maintained. However, if you are targetting established institutions, there are other aspects that you can also rely upon to make sure you are choosing the right school. How long has the school been in existence? How is perceived in the corporate world? What is the quality of the incoming class? You can extend the list of queries. Consider our IIMs and ISB. They don't offer a regular 'MBA' degree. But does it really matter whether the letters on your resume spell M.B.A or P.G.P or P.G.D.M, the MBA syllabus is similar and the market value is phenomenal. Point I'm trying to make is this. Certifications are good. But don't take them as the only criteria to base your decisions on. 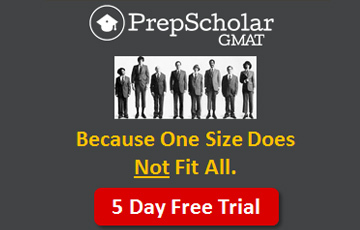 Are you referring to Schulich's original MBA program or the one they are offering in India?